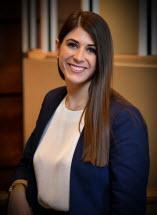 Donielle Robinson primarily focuses on criminal defense and personal injury law. She assists clients in trying to make right what was wrongfully taken from them. Donielle earned her law degree from the University of Cincinnati College of Law in 2017, where she was a member of the Moot Court Honor Board. Donielle began working at Levy Law during her second year at UC Law, and remained there as a law clerk before joining the firm full-time as an Associate. Prior to attending the University of Cincinnati College of Law, Donielle earned a B.A. in Criminal Justice and a minor in Pre-Law from Northern Kentucky University in 2014.